I have struggled with voting ever since I came of age. I always felt every candidate and every party used my faith, my morals, as a pawn. At first, much of what they said was appealing and I started to get swayed based solely on the fact of their attentiveness to my faith convictions. 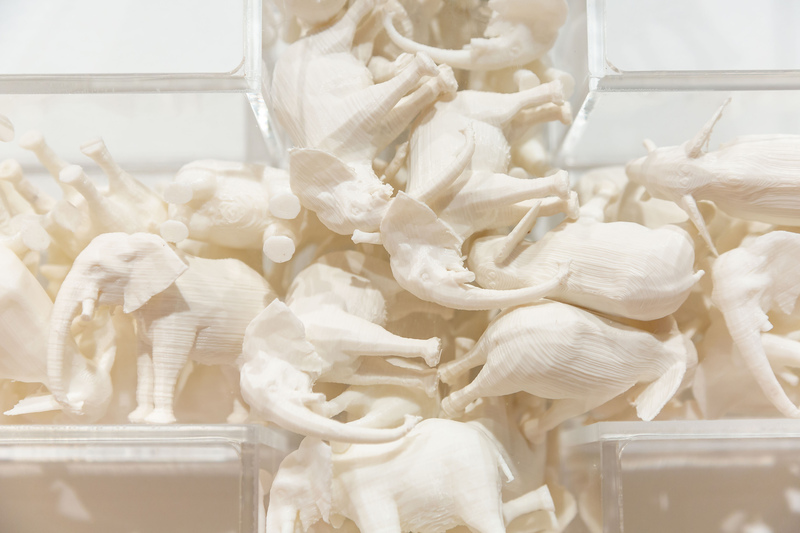 The donkeys on the left and the elephants on the right are all 3-d printed plastic. Contained in the central cross, the sheep among the wolves per say, are all handmade sheep using plaster of Paris and holy water.